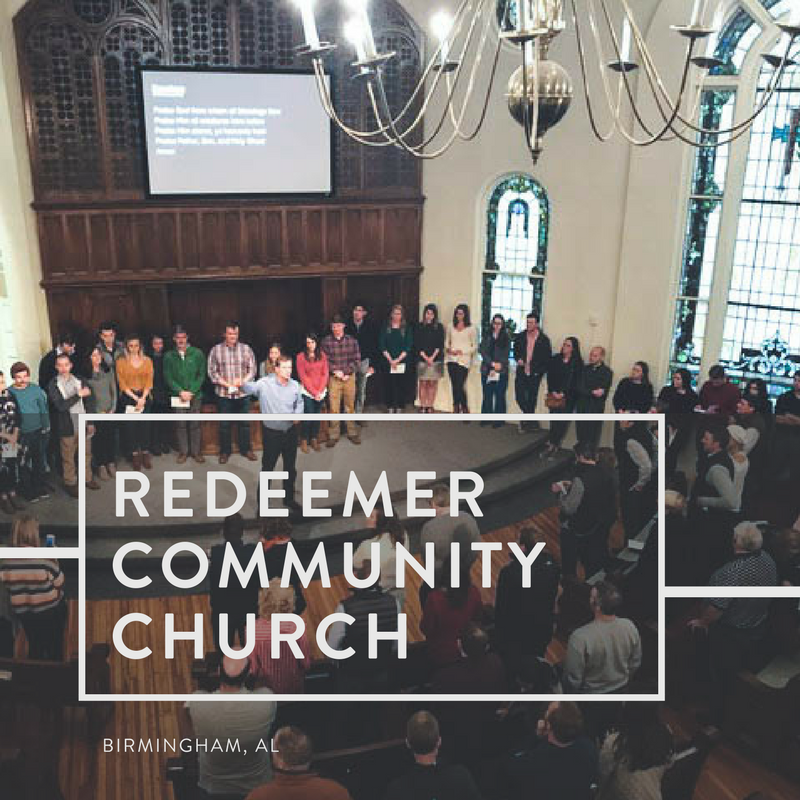 Redeemer Community Church first gathered in the home of Joel and Lauren Brooks in 2008 with the desire to see a new church family planted in the heart of East Birmingham. Since then the congregation has grown and moved to the Avondale neighborhood and currently meets in a historic church building originally established by South Avondale Baptist Church. Redeemer exists to bring about the joyful fulfillment of God's design for every last person: to love him with our whole heart, soul and mind and to love our neighbor as we love ourselves. We believe that God has called us to be a part of the spiritual, social & cultural renewal of Birmingham and the world. We gather for corporate worship as a household of faith to worship the Triune God, and to grow in knowledge and love of Him. We scatter throughout the city as missionaries to serve the people of Birmingham that many would be saved to love, trust, and obey Christ, in the power of the Spirit, to the glory of the Father.